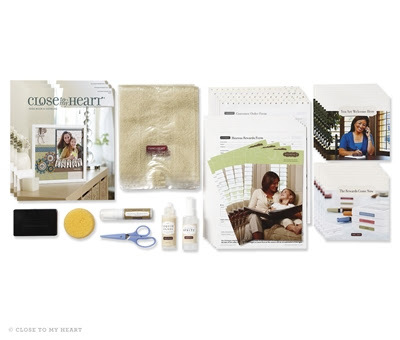 Includes everything you need to meet your crafting or career needs. At approximately $130 in retail value, this is a great deal! You've got a choice. You can opt for the new Master Kit which includes everything in the Essentials Kit plus more supplies and 5 Studio J layouts. This is valued at $280 in retail! This beautiful bag was given out at Convention to all attendees! Wish I had been there to get one. And now they are giving all new consultants who sign up in August a FREE one. (while supplies last) This is a big vinyl-coated bag measuring about 18" high x 18" wide x 7" deep and has two deep side pockets, a large inner pocket under the flap, and a very roomy inside compartment for toting your CTMH goodies. 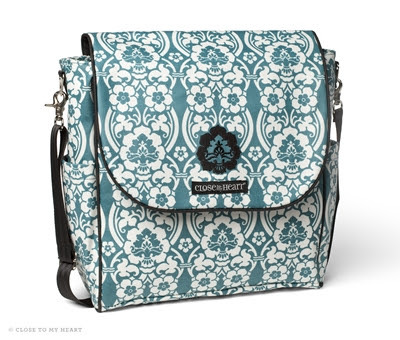 It has a detachable/adjustable shoulder strap plus backpack straps for ease of carrying. Enjoy the company and camaraderie of my Flamingo Gals team and other CTMH consultants through quarterly team meetings, annual Convention, networking online and other CTMH events. 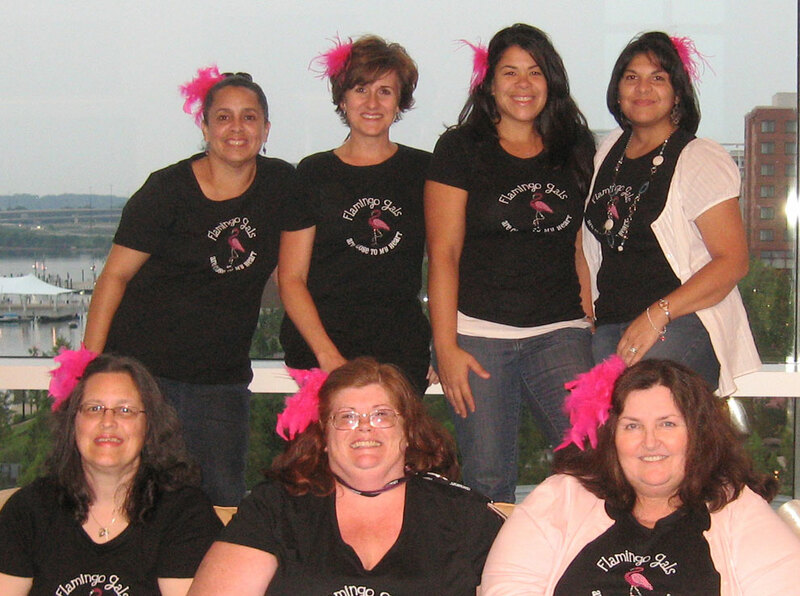 This is a photo of my team back in 2010 at Convention in Washington, D.C. Some faces have changed, but we're going strong and growing together. If you would like to join us in our Quarterly Team Meeting as our guest where you can ask questions, be part of our discussion, and enjoy a make-n-take project with new products from the Autumn/Winter Idea Book, we'll be meeting Sunday afternoon, August 12th from 1:00 - 4:00. I would love to have you join us! Commissions start at 22% and build from there based on your personal sales, team members and their sales, and additional income can be made through classes, workshops and incentives. You get out of it what you're willing to put into it. Even if you're a hobbyist and want to join for the pure fun of it, there's always room for you in our family. Imagine working from home, in your PJs creating beautiful things with paper and stamps! Imagine setting a schedule around your family and your lifestyle. Imagine having the bonus of using your CTMH business for supplemental income to your other job, only this one is MORE FUN. Close To My Heart is always on trend, always evolving, always listening to their consultants and responding in positive and effective ways. With their Online Training Academy, they have provided a limitless resource for both new and existing consultants to learn, grow and build a successful business. Online videos, printables, web images, flyers and weekly newsletters from the corporate office plus a monthly formatted newsletter for consultants makes YOUR job so much easier and enjoyable! This is so exciting for not only us local Florida girls, but for ALL consultants! So many more reasons, I could go on and on. 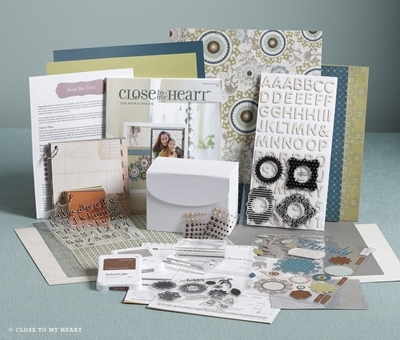 Autumn/Winter is the best time to join Close To My Heart in my opinion because it's the heavy holiday season when people are wanting to create cards, layouts, gifts and home decor pieces. CTMH products sell themselves they're so great, all they need is a consultant to showcase them! Contact me at AnnetteGreen@me.com if you think you might be interested in this opportunity or if you have any questions. You don't have to live in Florida to be on my team. It's so easy to do from anywhere in the country!